Selecting this option walks you through the process of creating a remote mailbox in Office 365. The benefit here is that you do not need to migrate the mailbox after it is created as it already exists as an object in the cloud. Keep in mind that you will not see this mailbox in the Office 365 tenant until directory synchronization has run. On the New Office 365 Mailbox window type the First name and Last name of the user. As you complete these fields you will notice that the Name field populates combining these values. The name field corresponds to the display name field for the user object in Active Directory. You can alter this field to be a different value than what was suggested. Click Browse in the Organizational Unit section. This brings up the Select an Organization Unit dialog. From here you can select which Organization Unit (OU) you want the new user account to be created under. 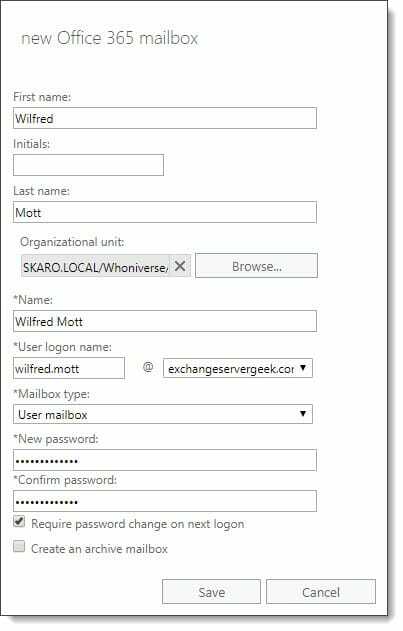 Under User logon name specify a new username for the user. From the drop-down to the right of the @ symbol pick the domain suffix for the user. This builds a User Principal Name (UPN) for the user. Note that the domain name you pick here must be a domain you have validated in Office 365. Under Mailbox type, pick the type of mailbox you want to create in Office 365. In our example, we are creating a mailbox for user Wilfred Mott so we will pick User Mailbox. Room and Equipment mailboxes are also available if you want to create a resource mailbox in Office 365. Specify and confirm a password in the New Password and Confirm Password fields. You can also check the box to Require password change on next logon to force the user to create a new password. By selecting Create an archive mailbox we can also instruct Office 365 to create an archive mailbox for the user in the cloud. Unlike on-premises mailbox creation, we do not get an option to pick a primary or archive database for our user. In Office 365 we cannot manage databases or servers. In turn, this negates our ability to choose how those users are assigned or distributed across databases. Microsoft makes this choice for us and it is not uncommon for Microsoft to redistribute mailboxes across databases. If you are looking to create a user and mailbox quickly the minimum fields required are those marked with an asterisk. For our example, we specified a first name, last name (which populated name field for us), Organizational Unit, username, domain suffix, mailbox type, and password. With your fields populated click the Save button. Your mail-enabled user will now appear under the Mailboxes tab. The Mailbox Type for Wilfred will be listed as Office 365. On-premises mailboxes are listed as type User. This is a great way to distinguish which mailboxes are on-prem and which are in the cloud. Keep in mind the user will need to be assigned an Office 365 license before they can access their mailbox. To perform this same task in EMS we use the New-RemoteMailbox cmdlet. Using the above example of Wilfred Mott let’s see what the process would have looked like in PowerShell. From your on-premises Exchange 2016 server, open the Exchange Management Shell. First, we will need to capture a temporary password for Wilfred in a variable. The password will be saved as a secure string. To do this enter the following command. Enter a password when prompted. Next, let’s create the mailbox and parse in the $password variable. -Name specifies the content of the display name field in Active Directory. -FirstName specifies the first name of the user. -LastName specifies the last name of the user. -OnPremisesOrganizationalUnit specifies where in the on-premises Active Directory the new user account should be created. The New-RemoteMailbox cmdlet tweaks the naming of the parameter from -OrganizationalUnit to -OnPremisesOrganizationUnit to emphasize where the user account exists. In our example, we specified this as the on-premises Whoniverse OU in the Skaro.local domain. This is an optional parameter. If you omit this parameter the user will be created in the default Users OU. -UserPrincipalName specifies the username in UPN form. -Password calls the variable named $password from our previous command. -ResetPasswordOnNextLogon specifies whether a user must change their password the next time they log in. To enable an existing user with an Office 365 mailbox we can use the Enable-RemoteMailbox cmdlet. For example, if we had already created Wilfred in Active Directory Users and Computers we can enable him for an Office 365 mailbox using the following command. In this command, the -RemoteRoutingAddress parameter specifies Wilfred’s unique SMTP address in Office 365. The domain you use in the routing address is assigned by Microsoft to your Office 365 tenant. The routing address is stamped to Wilfred’s TargetAddress property on his Active Directory account. 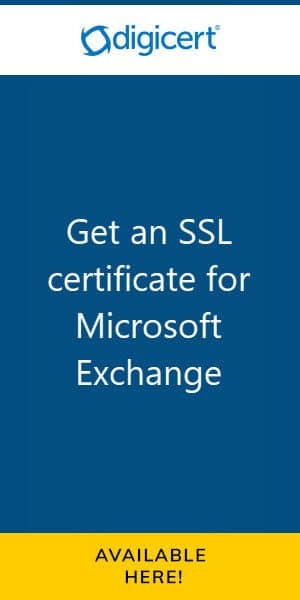 This instructs our on-prem Exchange to route messages addressed to Wilfred to Office 365. We don’t need to specify a primary SMTP address as this will be generated by our on-prem Email Address Policy (EAP). Regardless of which command is used the user’s mailbox will not show in Office 365 until directory synchronization performs a sync. Keep in mind the user will need to be assigned an Office 365 license before they can access their mailbox. What is your preferred way of creating new users in Office 365? Do you create the user on-prem first and then migrate, or, use the method described above. Drop a comment below or join the conversation @SuperTekBoy. is the a way to check which admin user has created an O365 mailbox ? Thanks, you have a typo missing -Identity switch. 1. O365 for those 2 users were on trial for 30 days. It expired when they tried to send email to on premises user. 2. The current lab is of same domain (INFOTECHRAM.COM). I rebuilt entire home lab from scratch. No left over from earlier lab. 3. Currently the EX2016 is working fine for on premises users. Haven’t converted EX2016 to Hybrid. Hi – I converted my home lab (EX2016) to hybrid and created mailbox on premises and O365. 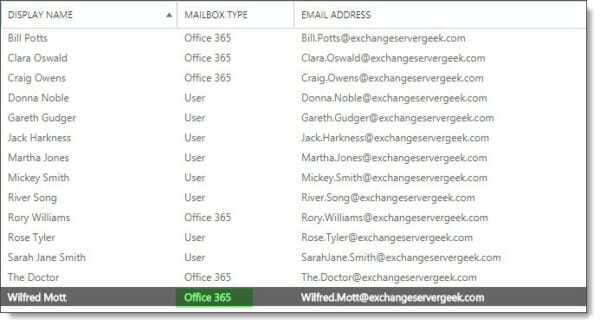 Did few mailbox migration from on premises to O365. Everything worked for one month and after that, I was not able to receive emails from any one including from those test users migrated to O365. Not sure what happened to EX2016 hybrid. Do, I need to have any subscription service from MS for EX2016 hybrid to work indefinitely? I had to rebuild the home lab. Now EX2016 is working without hybrid. I want to convert again but want to make sure, I have all the information required before, I proceed. Did you ever license those mailboxes in Office 365? Or were you just on a trial subscription? If it were a trial or there was no active paid subscription then Microsoft would have disabled those mailboxes after 30 days. To confirm, the new lab is a completely brand new Exchange organization (new domain and DCs as well)? Hello! I have a question. 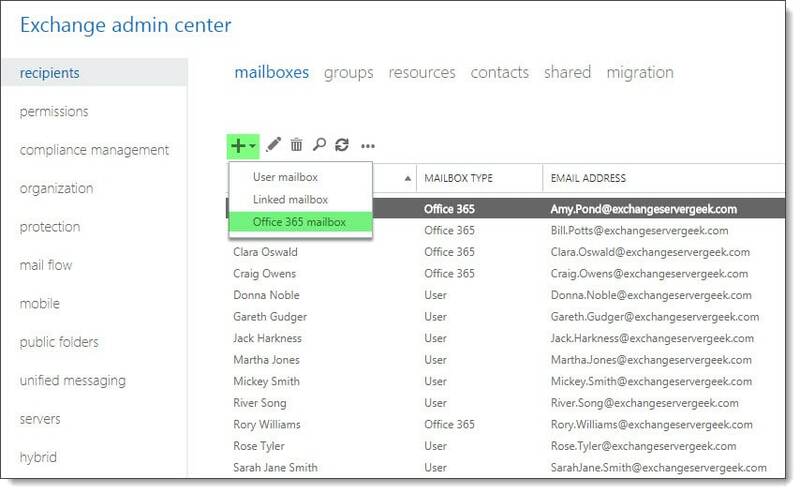 If you create the mailbox directly in O365, what about the users that are still in on-prem? Will they be able to find the new mailbox in the on-prem GAL? Those on-prem users won’t be able to see the user in the GAL. Furthermore, because Exchange on-prem has no knowledge of the cloud-only user those on-prem users won’t be able to send mail to the cloud user either. Its always best to use the method I described above, or, create the mailbox on-prem and then migrate it to the cloud. Thanks! That’s the way we do it. We create the mailboxes on-prem then we migrate them to 365. Same with the shared mailboxes. Thanks for your help!